A Witness and A Testimony was a bi-monthly magazine edited and published by T. Austin-Sparks as part of the literature ministry of Honor Oak Christian Fellowship Center in London, England. 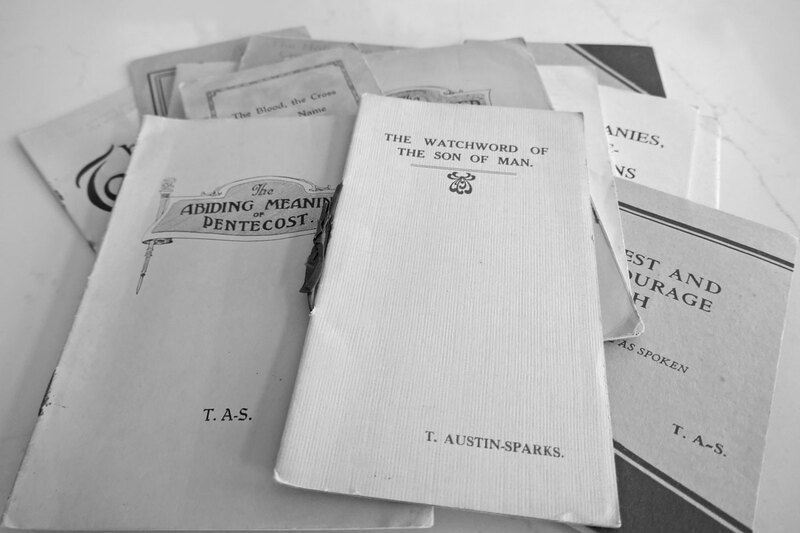 Publication of A Witness and A Testimony began in 1923 and ended in 1971 after Mr. Austin-Sparks died in April of that year. The first two articles in Vol. 49, No. 4 give a brief biographical sketch of Mr. Austin-Sparks' life and a summary of the presentations at his memorial service. The main thrust of the articles in A Witness and A Testimony , which were written by a variety of authors, is best expressed in the following 'ministry statement' that was printed on the inside front cover of each issue. Minor wording changes were made in this statement from time to time. The following text is taken from the last issue, Vol. 49, No. 6. THE OBJECT OF THE MINISTRY of this little paper, issued bi-monthly, is to contribute to the Divine end which is presented in the words of Ephesians 4:13 -- "... till we all attain unto the unity of the faith, and of the knowledge (literally -- full knowledge) of the Son of God, unto a full-grown man, unto the measure of the stature of the fulness of Christ: that we be no longer children..."
It is not connected with any 'Movement', 'Organization', 'Mission' or separate body of Christians, but is just a ministry to "all saints". Its going forth is with the prayer and hope that it will so result in a fuller measure of Christ, a richer and higher level of spiritual life, that, while bringing the Church of God into a growing approximation to His revealed will as to its 'attainment', it may be better qualified to be used of Him in testimony in the nations, and to the completing of its own number by the salvation of those yet to be added by the Lord. This ministry is maintained by the Lord through the stewardship of those who value it. There is no 'subscription', but gifts can be sent to the Editor, 'A Witness and A Testimony', 39 Honor Oak Road, Forest Hill, London, S.E.23, England. All cheques should be made payable to Witness and Testimony Literature Trust. The paper is sent only to those who personally desire it, and we count on friends to advise us if this is no longer the case, or if they change their address. A Witness and A Testimony was published bi-monthly (six issues per year) and was distributed by mail without cost to many appreciative readers. The articles were printed in four columns of text on both sides of 9 X 14-1/2 in. paper which, when folded double and fold-stapled together with a folded cover, formed a magazine measuring 7-1/4 in. wide by 9 in. high. Each issue contained either 20 or 24 pages of two-column text. A title banner and table of contents were printed at the top of the first page of text in each issue. See A Witness and A Testimony Chronological for images of the cover and first page of the last issue. 5. Each Roman numeral was replaced with its equivalent Arabic number. 6. The period between chapter and verse in each scripture reference was replaced with a colon. 7. Obvious typographical errors were corrected; when doubtful, no change was made. British spelling and punctuation were retained throughout.